Marvel Custom Solutions Creates Special Comic Book for Children’s Hospitals Across the U.S.
Storytelling is the heart of our business at Marvel, so getting to present a unique comic tailored to entertain kids in hospitals is truly an honor. Since 2014, we’ve worked with Disney and Child Life Council to create special fold-out comic posters for care packages that are distributed to nearly 450 hospitals across the country. Some of our biggest names—Captain America and Iron Man, among other Avengers—have starred in these stories that are meant to inspire young patients as they overcome adversity. This year’s comic is all about friendship, camaraderie, and relying on others when you need help. From our earliest conversations with Disney and Child Life Council, we understood that one of the challenges kids face during and after a hospitalization or treatment is this feeling that they don’t fit in with others, or that they’re somehow outcast. There is nothing shameful about needing help from friends, family or professional caregivers, and we wanted to underscore that theme in the story. This lead us to feature the Guardians of the Galaxy in the latest issue. 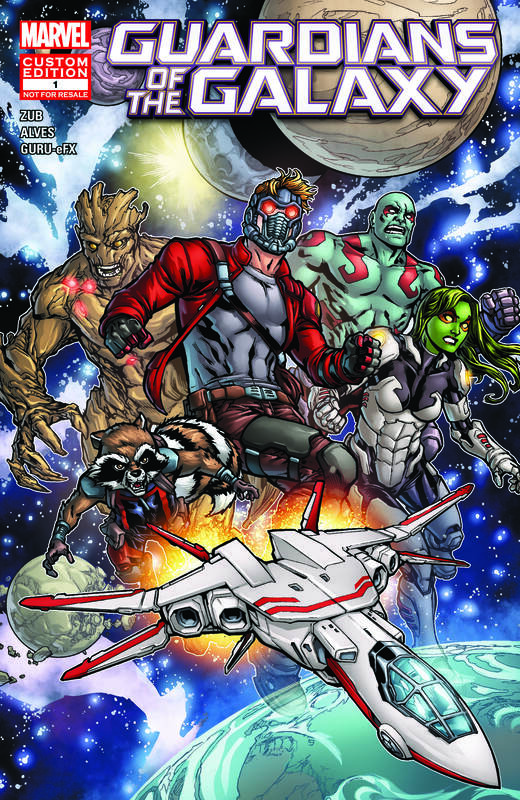 The Guardians are an intergalactic team of five very unique individuals—including a living tree and an anthropomorphic raccoon!—so they’re the perfect embodiment of people relying on each other for different strengths. For example, Star-Lord is the ace space pilot who the others need to navigate their ship through an asteroid field. When the ship is damaged, Drax is the only one strong enough to lift a heavy component so the others with more technical know-how can repair it. Comic deadlines can be pretty tight, but as soon as I pitched the concept to our writers and artists, I can tell you everyone jumped in with zero hesitation. The whole creative team—Jim Zub, Wellinton Alves, Guru-EFX, Joe Sabino, Michael Ryan, Javier Mena, and Darren Sanchez—were as excited as I was to be able to do something special for these kids. They all set aside the time to bring their A-game, regardless of how busy their schedules were. This experience, in short, was amazing! It’s always so exciting and humbling to work on projects like this, where everybody’s pulling together to create not only a really cool comic, but one with a very noble purpose: to make a child’s hospital visit a little happier. To read the Guardians of the Galaxy comic, click here.